If you like your holidays prepared for you then have a ganders at this great deal over at TUI Holidays. There are various options available for you to choose from which you can check out HERE. 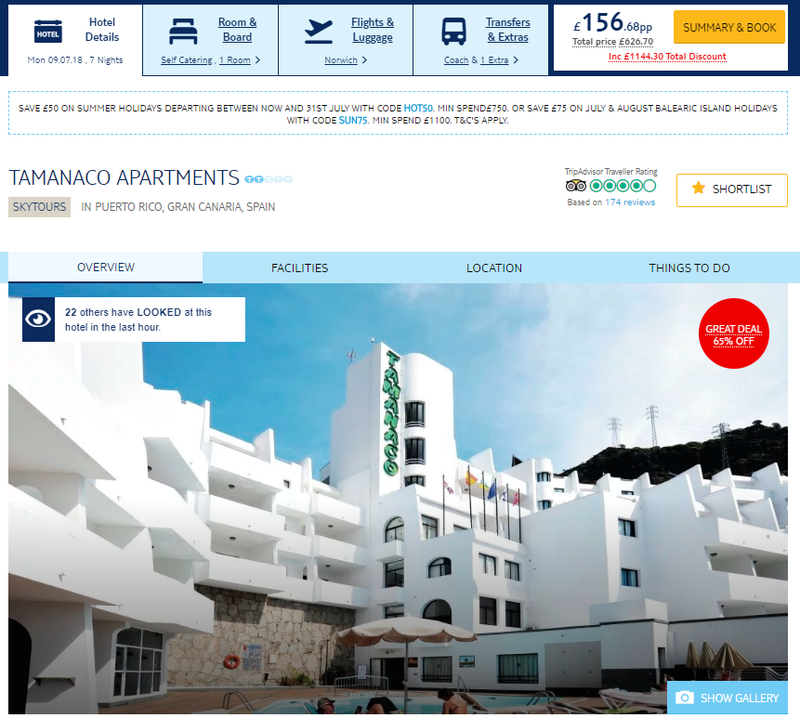 You will be staying for 7 nights at the TAMANACO APARTMENTS which not only has excellent great reviews over on Trip Advisor and an average rating of 4/5 and have picked up a Traveller’s Choice Award! These apartments have a standout location, with Puerto Rico’s bars, shops and restaurants a couple of minutes’ walk away and the beach a 10-minute stroll. The Tamanaco Apartments are set on a hillside overlooking Puerto Rico and the Atlantic Ocean. The apartments themselves are modern and spacious, and come with a balcony and a kitchenette.